It’s all about the temples when it comes to Modern Art’s latest specs! From sleek stainless steel appliqués, to multi-colored geometric designs, to gemstone embellishments, to baroque metal detailing, these temples are bursting with sultry excitement. 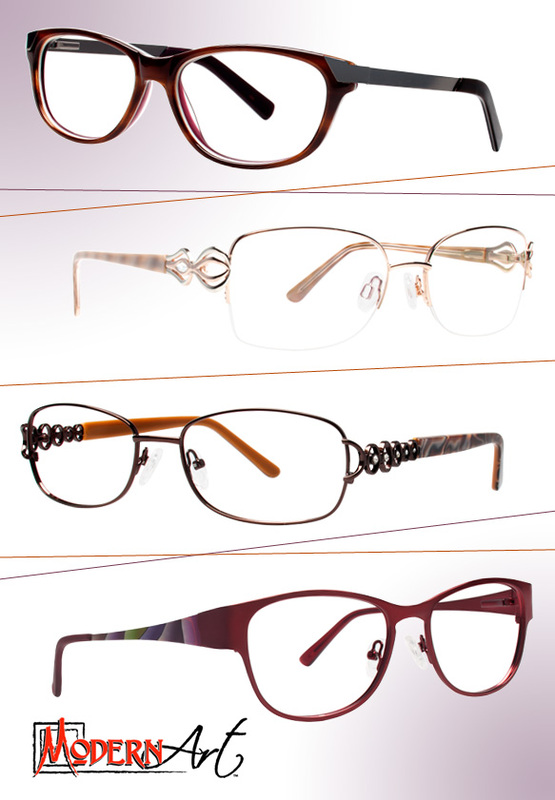 Meanwhile, simplistic silhouettes and an assortment of rich, yet subtle, hues strike a much-needed sense of grounding balance to these otherwise artfully alluring frames. Get even more fabulous deets here!